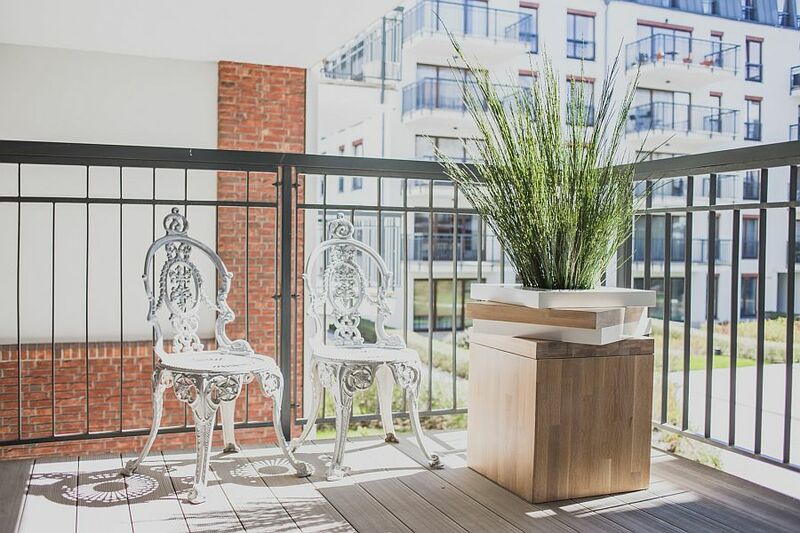 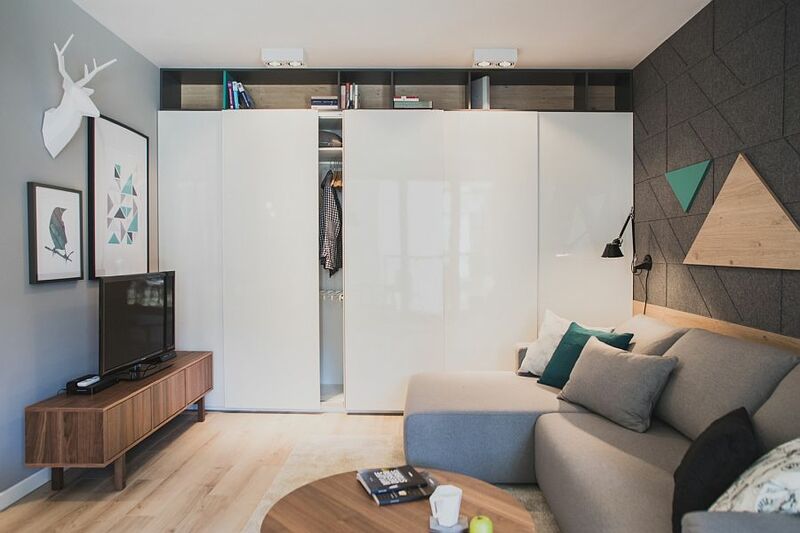 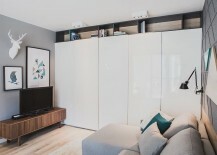 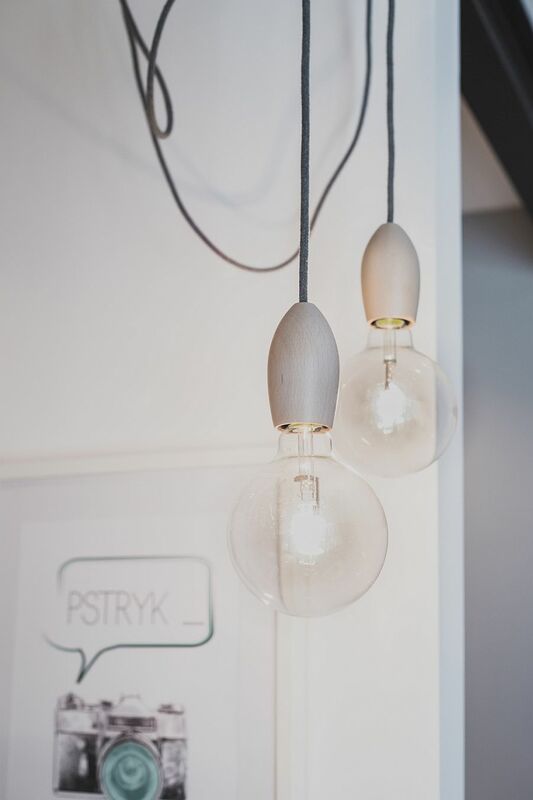 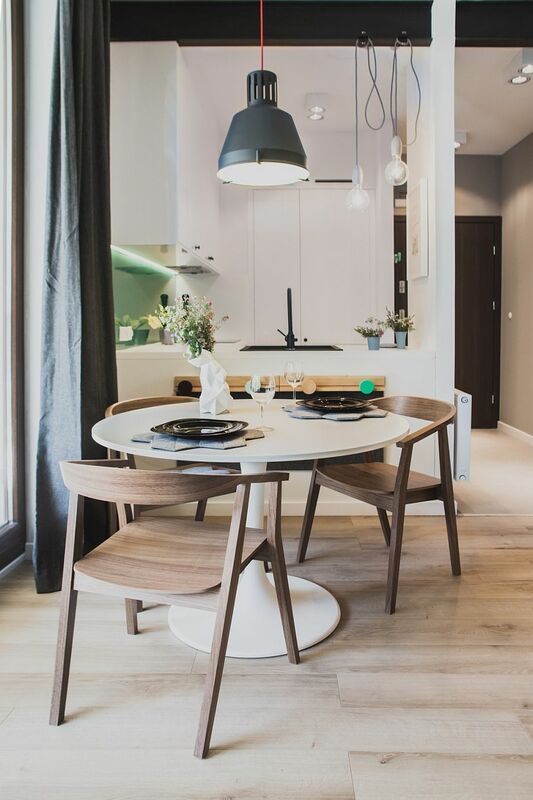 A contemporary apartment that is not blessed with too much space and so adopts design solutions that work around this conundrum even as white and gray create a refined ambiance – the story of this apartment in Gdansk, Poland sounds all too familiar. 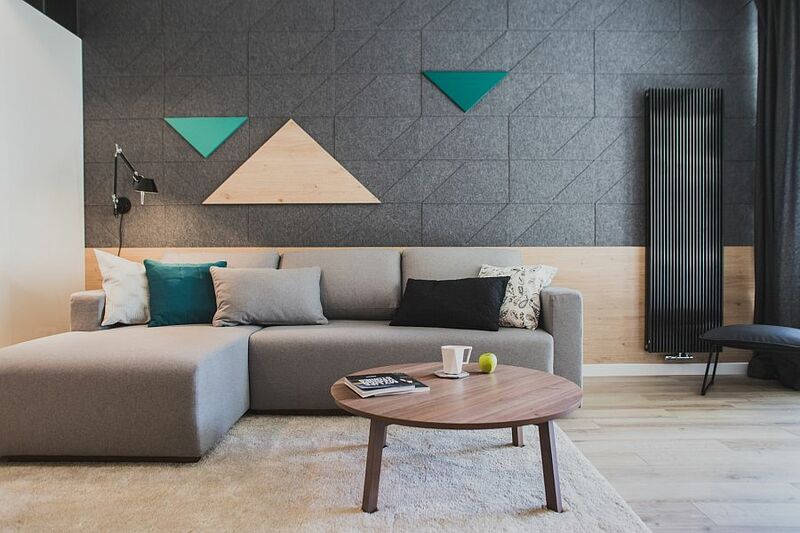 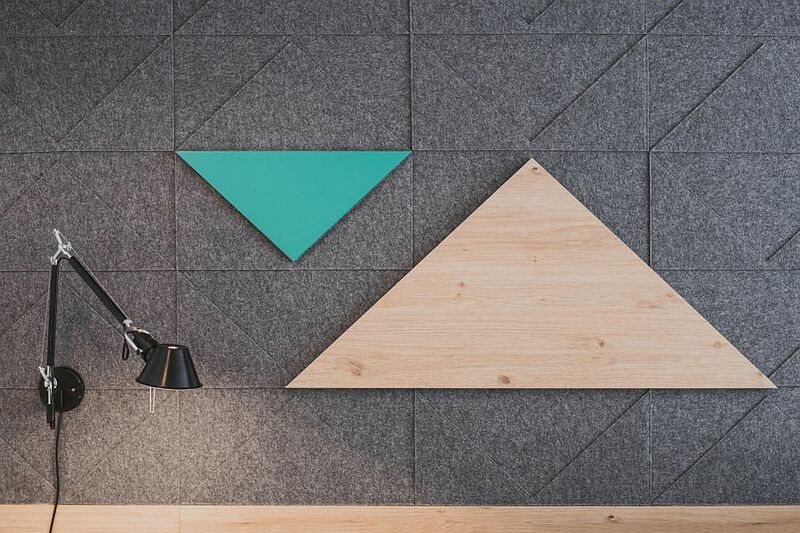 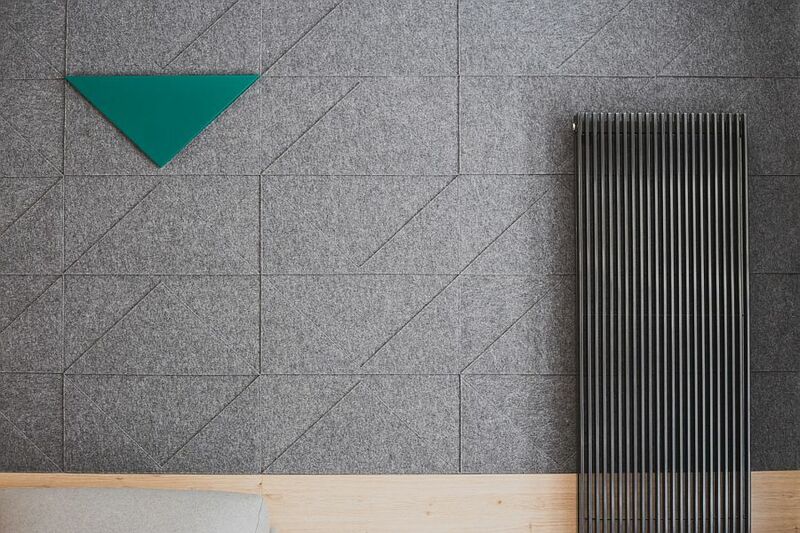 Yet, Szafarnia 2 offers a whole lot more, as it uses geometric pattern and a wall of felt in the living room to bring pattern and texture to a polished contemporary interior. 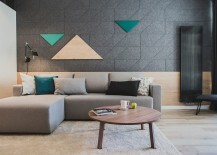 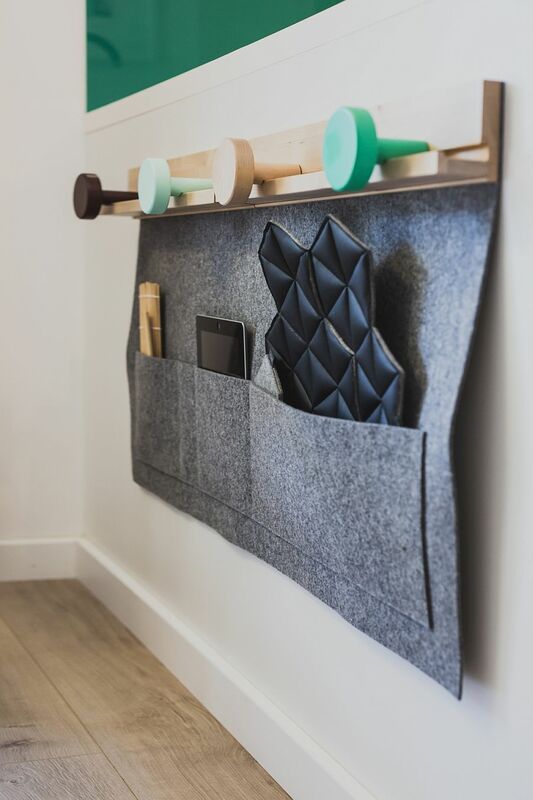 And despite this snazzy addition of a plush texture in the living space, the apartment retains its sophisticated vibe as Raca Architekci found ways to make the most of the 36 square meters on offer. 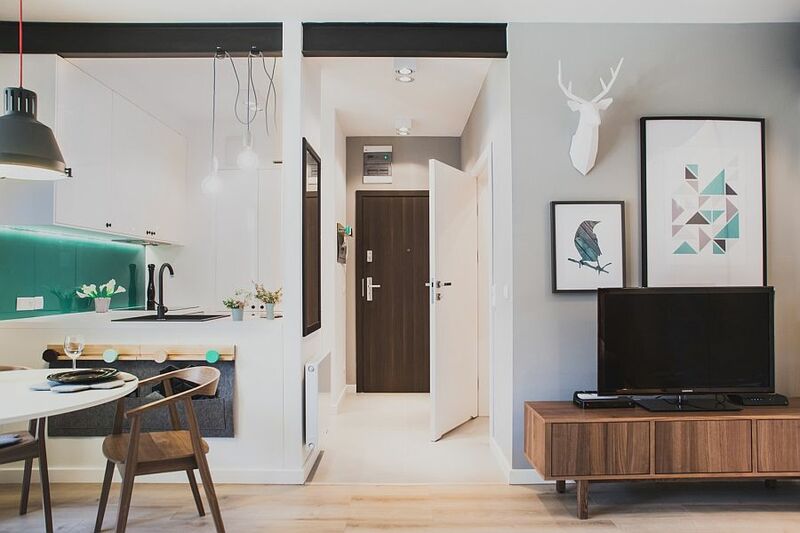 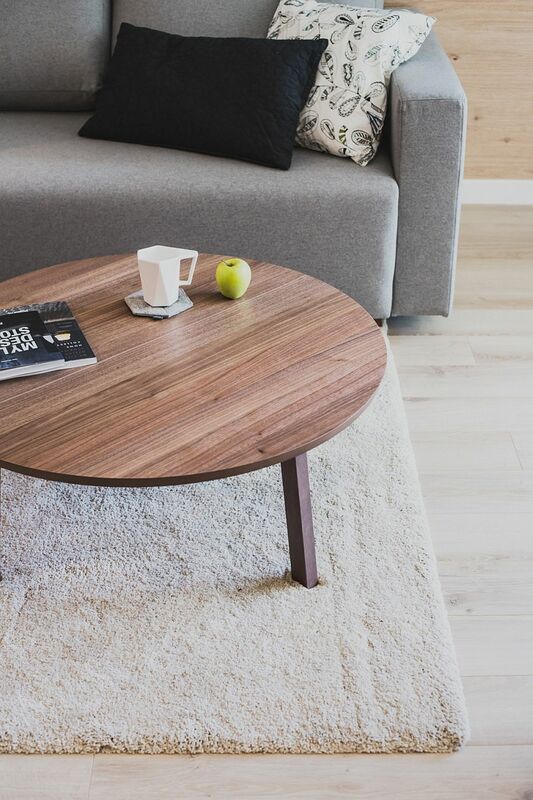 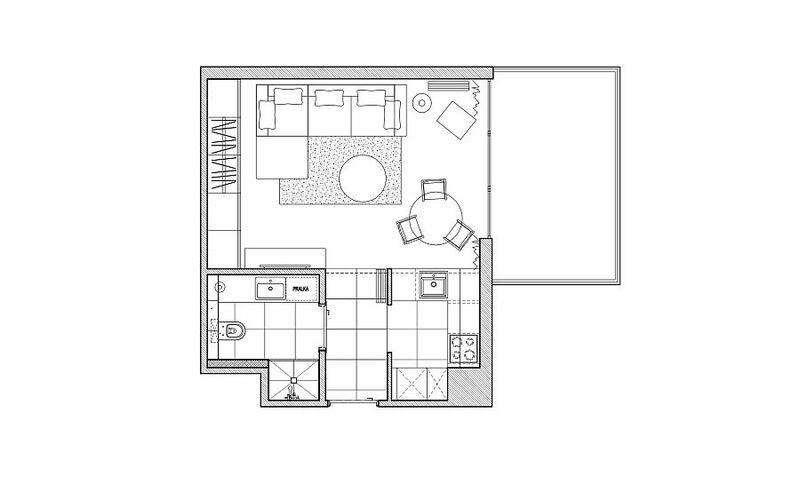 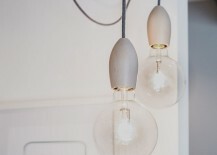 White is the color of choice in the apartment, and it is no surprise that gray is added to this neutral template to create visual contrast while keeping fragmentation of space to a bare minimum. 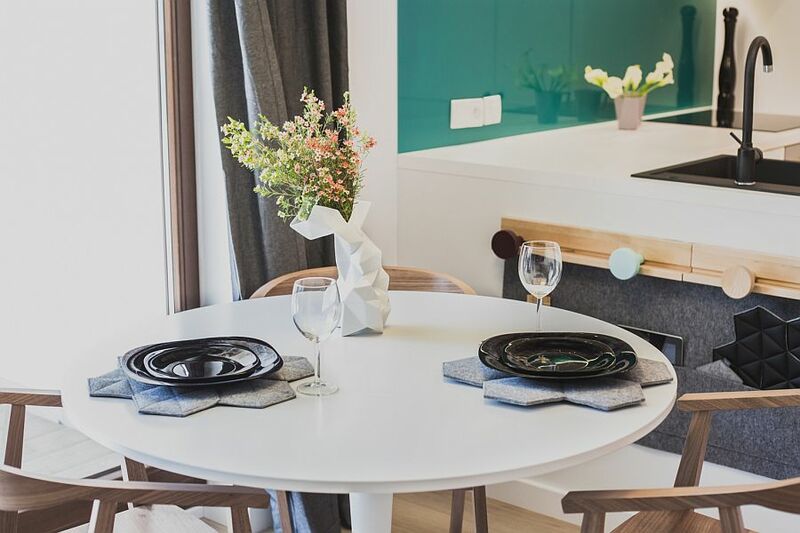 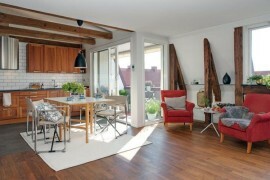 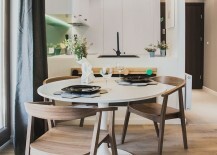 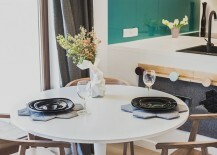 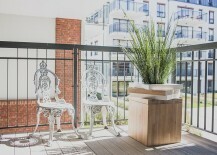 The open living area also contains a small dining space with a round dining table that features a pedestal base, lovely wooden chairs and a pendant in gray above. 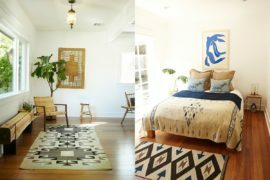 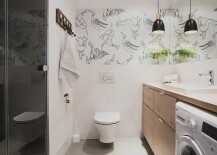 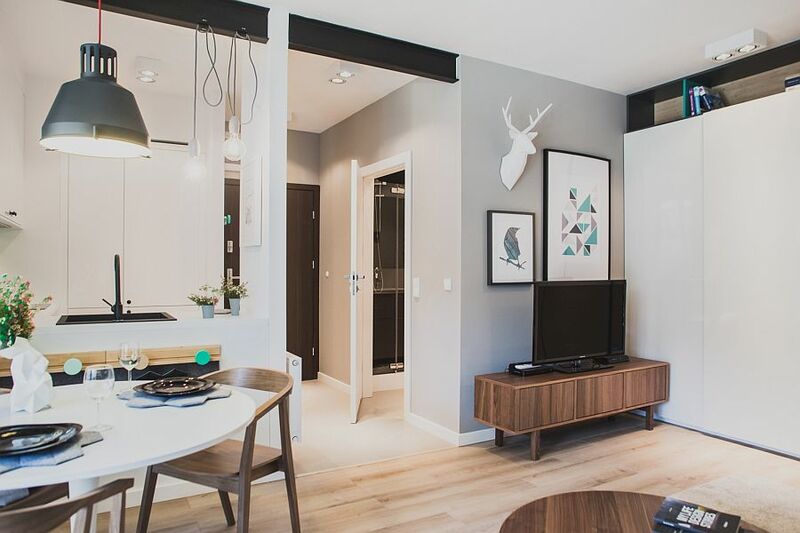 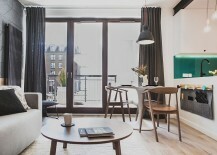 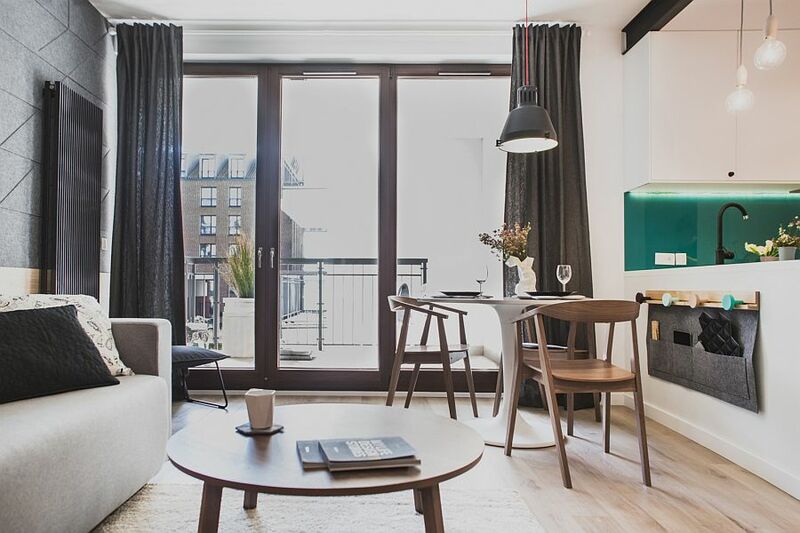 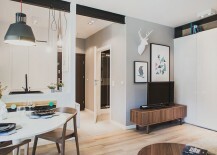 One can see a clear influence of Scandinavian style inside the apartment, with geometric patterns, accessories and decorative pieces driving the point home. 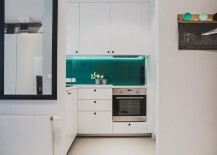 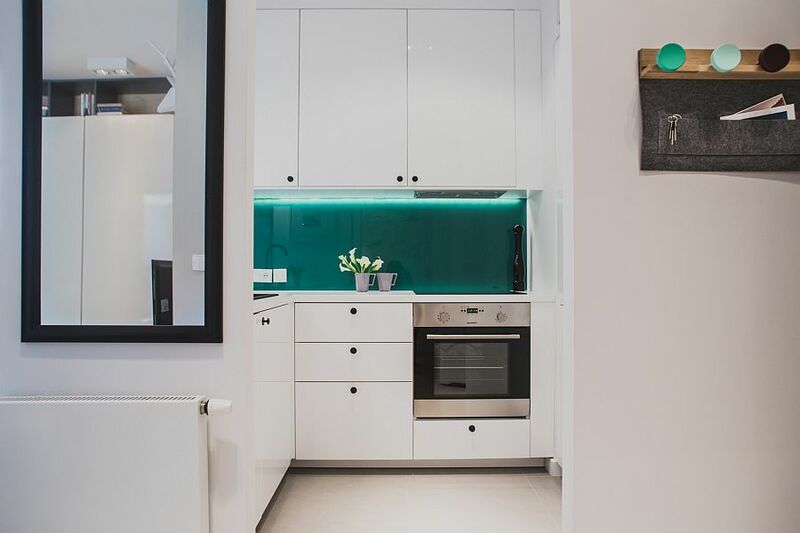 A small kitchen in white with a striking backdrop in teal occupies one corner of the living area, while the other half contains the sitting zone, which opens up into the tiny balcony outside. 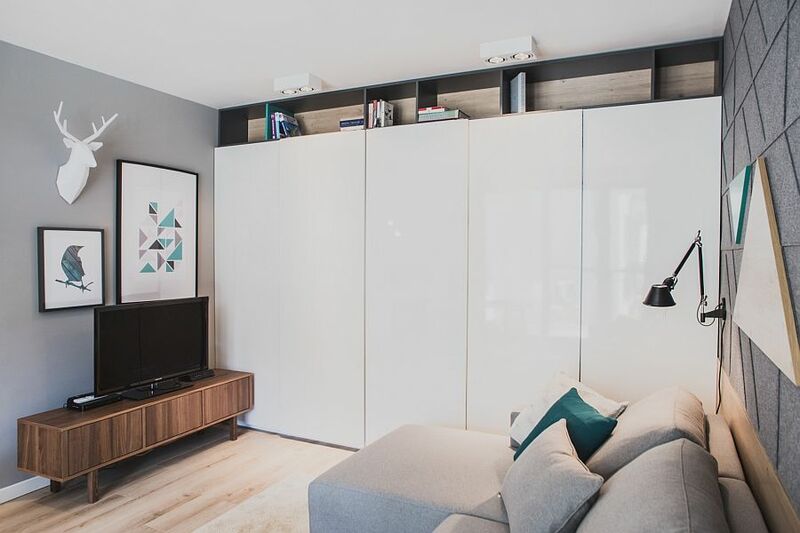 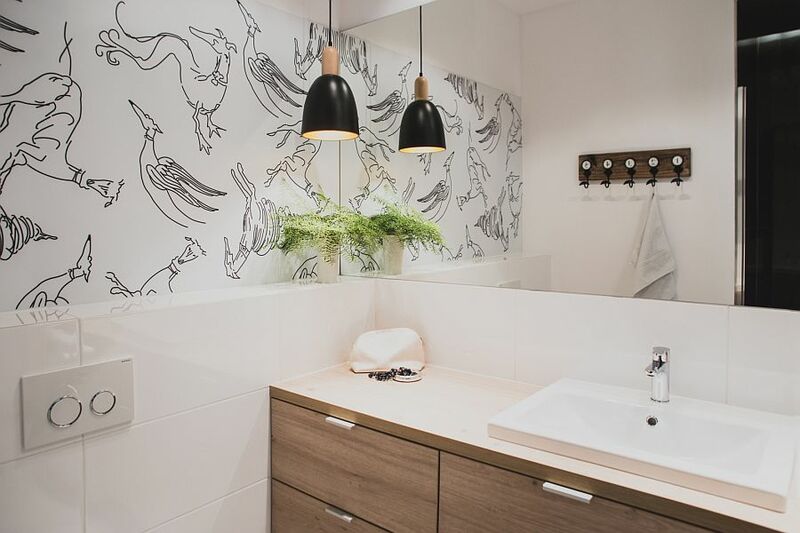 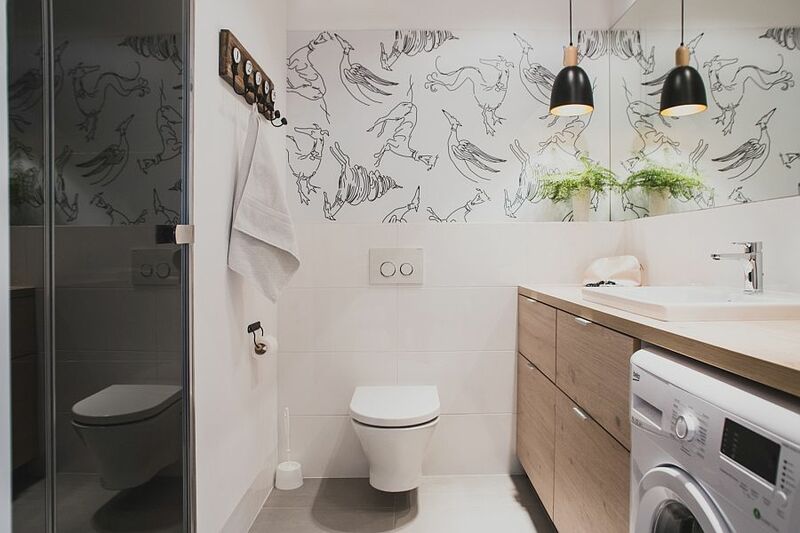 A wall of white cabinets provide storage space that melts into the backdrop effortlessly, even as warm wooden flooring and accents give this Gdansk home an inviting and relaxed feel. 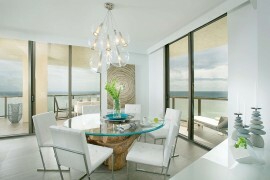 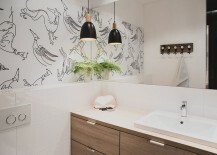 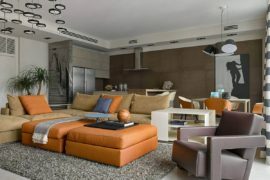 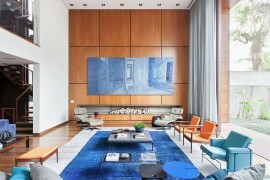 A perfect fusion of curated contemporary design and cultured accents that steal the spotlight!